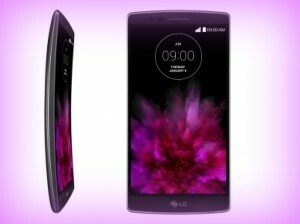 LG G Flex2 was launched officially in February this year and it was announced for the Indian markets in April. Flex2 is not available in India for Rs. 54,990. It will be available in silver color. Mumbai: LG G Flex 2 sports 5.5 inch display and the resolution is 1080 x 1920 pixels. The display is protected by Gorilla Glass 3. Display screen type is plastic OLED. Display density is 403 ppi. This curved phone comes with a thickness of 7.1 mm at thinnest and 9.44 mm at thickest spots. LG G Flex 2 is powered by 2.0 GHz octa core Qualcomm Snapdragon 810 processor and is paired with 2 GB RAM. Customers will have the option of 16 or 32 GB internal storage and there is micro SD card slot for further expanding the memory. It features 13 megapixel camera at rear and 2.1 megapixel camera at front. The handset supports WiFi, 4G LTE and Bluetooth connectivity. G Flex 2 comes out of the box with Android 5.0 Lollipop operating system. Battery under the hood is 3000 mAh. LG G Flex2 comes with features like Gesture Shot, Gesture View and Glance View. It also supports Fast Charging features that charges 50 percent of the battery in just 40 minutes. LG launched the 16 GB variant in India now. This entry was posted in Launches, Tech on May 2, 2015 by Rakesh.